Well August is speeding past us at a great pace. 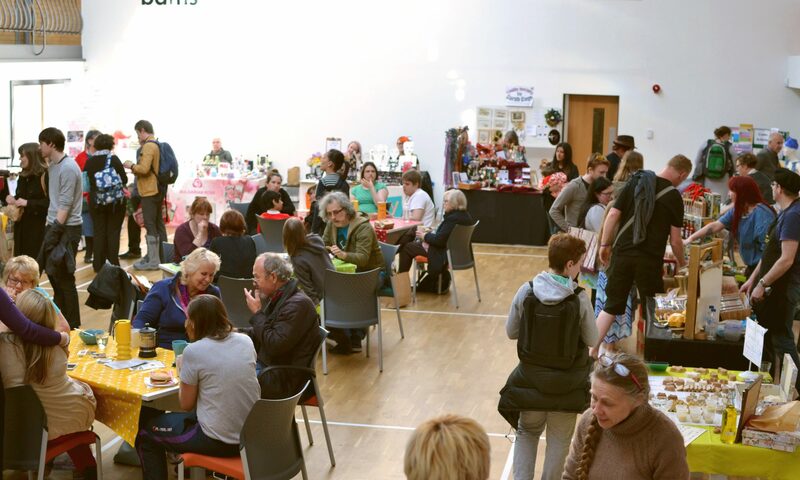 It’s soon the September Stirchley Community Market! We’re finalising the stall holder line-up at the moment, but be sure to expect our great regulars, a few newcomers and maybe even some golden oldies! The Drop & Swap ladies will be back too, so do remember to bring your unwanted clothes (in good condition!) to swap for something new to you. 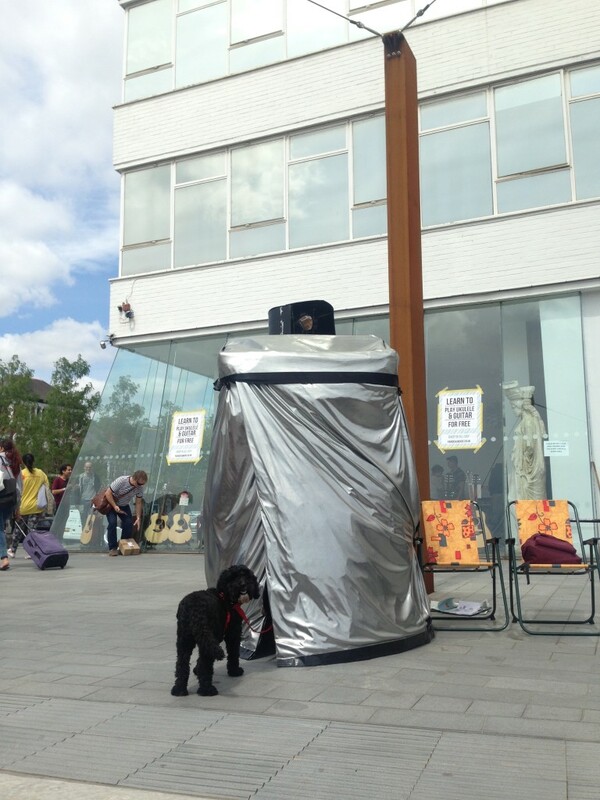 Birmingham Camera Obscura is an ongoing project by Jenny Duffin and Pete Ashton to explore new ways to use the camera obscura. 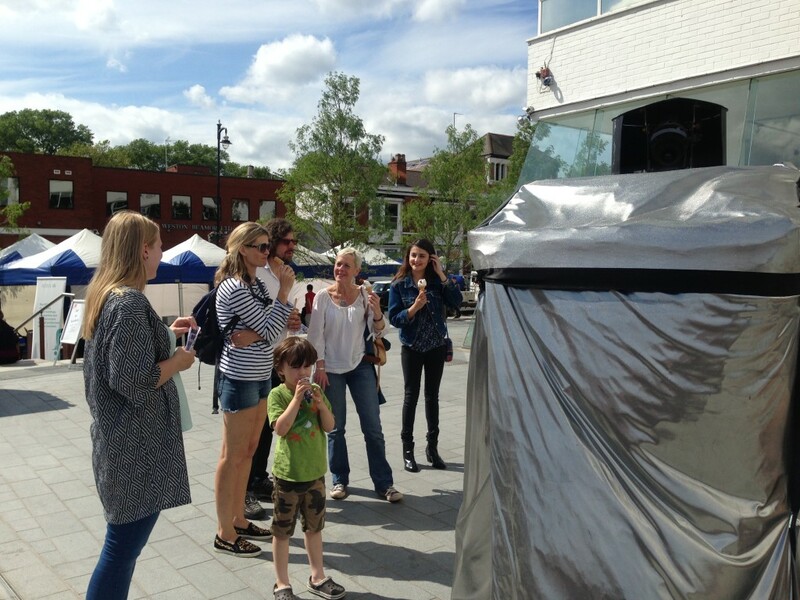 The camera obscura is a device that predates modern photography by over 1000 years. The camera is a 1x2x1 metre wooden box with a lens and mirror which projects a sharp image from outside onto a white screen. It flat-packs down and can be installed anywhere in minutes. So that should be fun! Come along and poke your head in. See you there, 4-8pm at The British Oak, Tues 1st September. Previous PostPrevious Birmingham Urban Sketchers at SCM!